Welcome to QKR Stampede's Third Challenge! Thank you so much to Everyone who joined us last week for our Second Challenge: Anything Goes! We really Enjoyed All the Creations--They were Fantastic!! Congratulations! Please Email Tina with the words QKR Stampede Challenge Winner in the Subject Line! 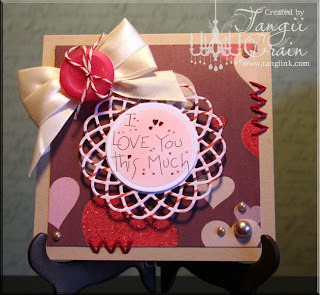 * Also, Don't forget to Grab the Winner Badge from our Side Bar for for your Blog!! 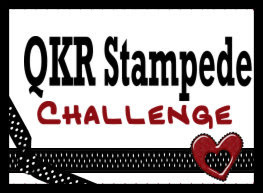 However, if you enter and win using a QKR Stampede Image, You will Win 4 Digital Stamps From the QKR Stampede Store! Tory here again with a project near and dear to my heart. My mom started bee-keeping last year and has asked me to make a scrapbook for her on her bee-keeping to display on her booth where she sells her homemade lip balm. 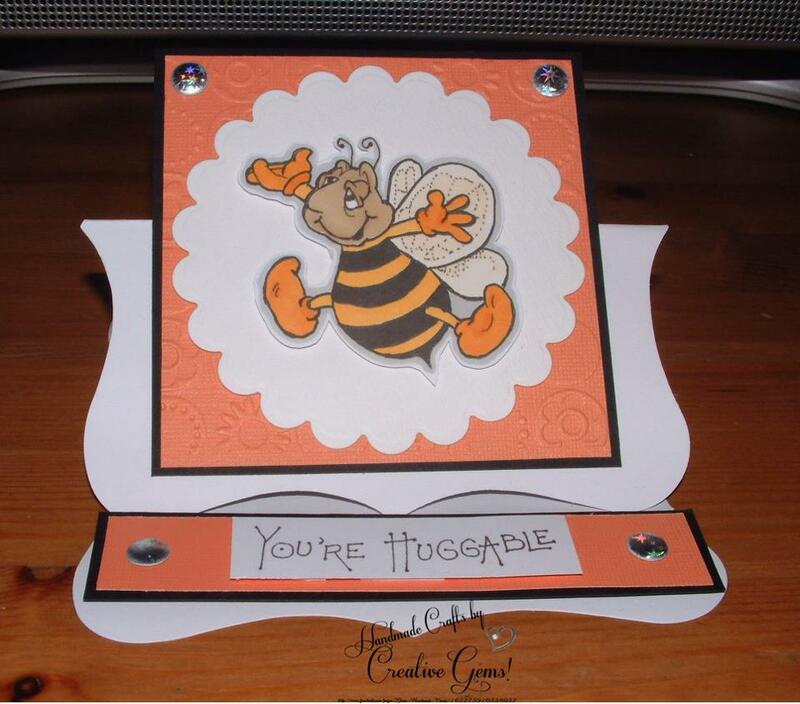 When I saw this totally cute Queen bee digi, I knew I had to use it! It reminded me of my mom and was so glam I knew it would be perfect to make a title page for the book. 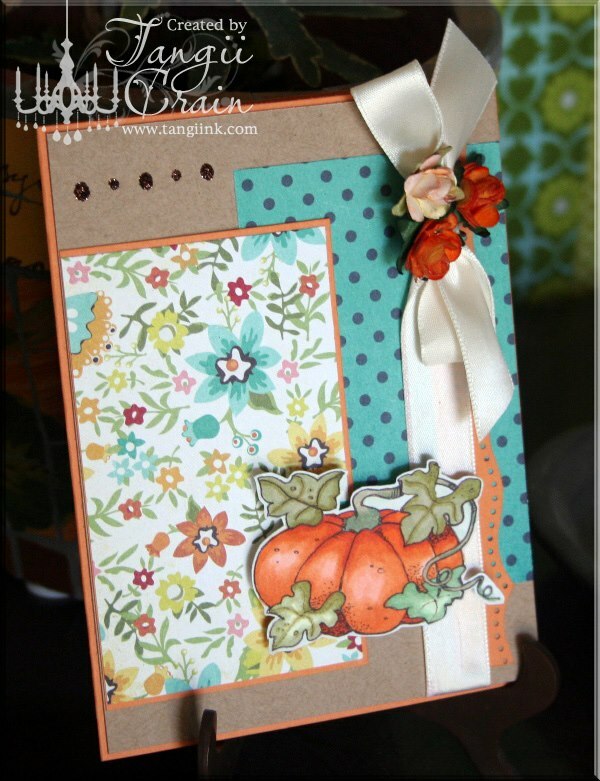 I used a combo of papers from my fave manufacturers Authentique (dots, bees) and MME (wood paper). The theme colors are based on the Authentique Carefree collection, so reds and tans. I also used two types of alphas. For the Queen, I added glossy accents to pop up the words. 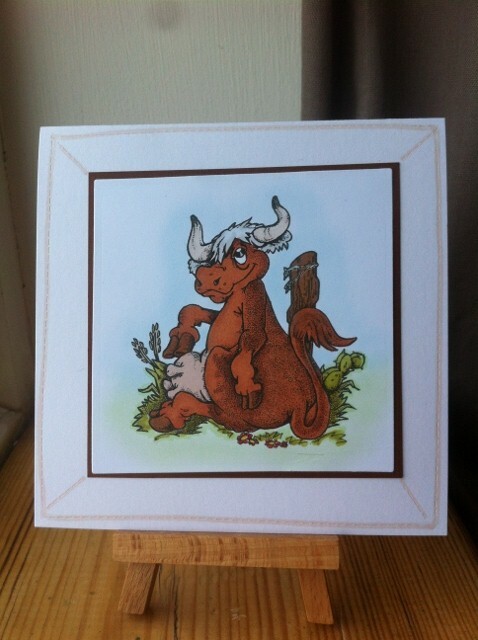 Children love a visit from the Tooth Fairy and I am sure they would love it even more if their pennies were delivered in this cute little gift card. The image from QKR Stampede can be found here. 1. 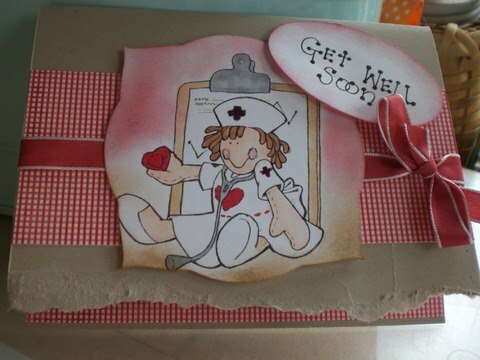 Cut and score a white card to A5 size. 2. 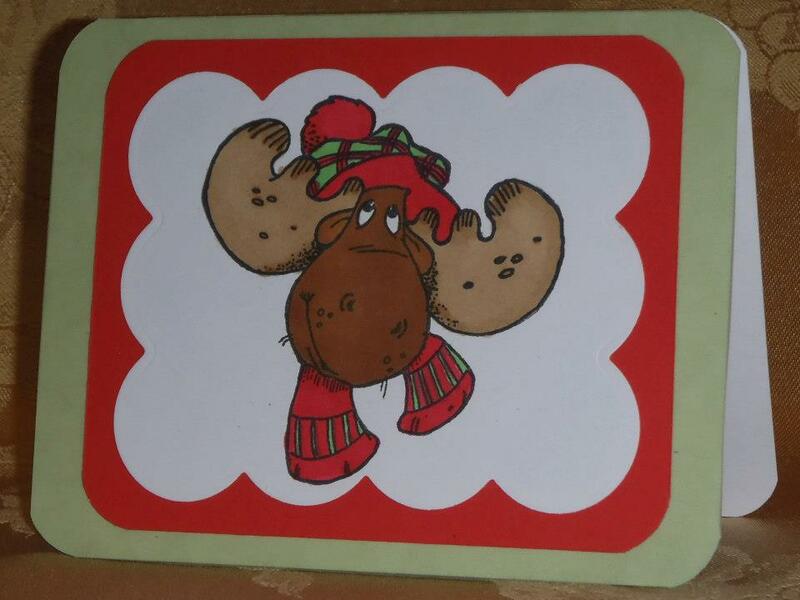 Mount Turquoise card stock on to the White card. 3. Scallop the right edge of the Purple spotty paper and stick to the Turquoise card stock. 4. 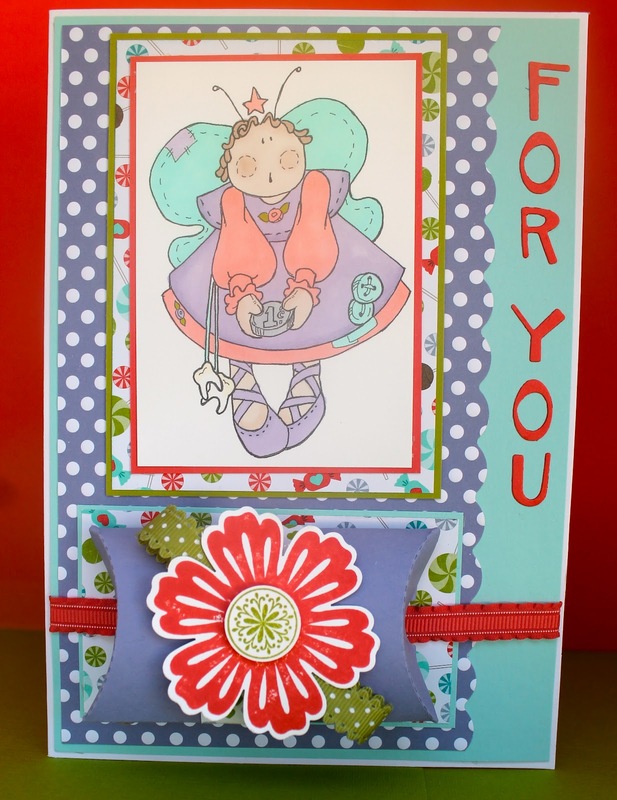 Colour and cut the Tooth Fairy image, and mount onto Coral card stock, patterned paper and Green card stock. 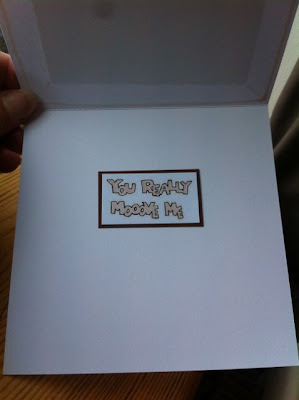 Attach to the top half of the card. 5. Stick another section of card and patterned paper underneath the image and cut a Pillow box from a template or die. 6. 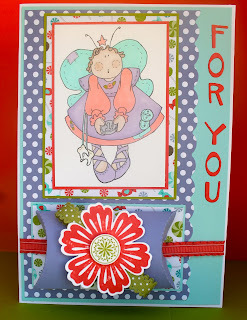 Embellish the Pillow bow with floral stamp and attach to the card. 7. Add the For You sentiment. 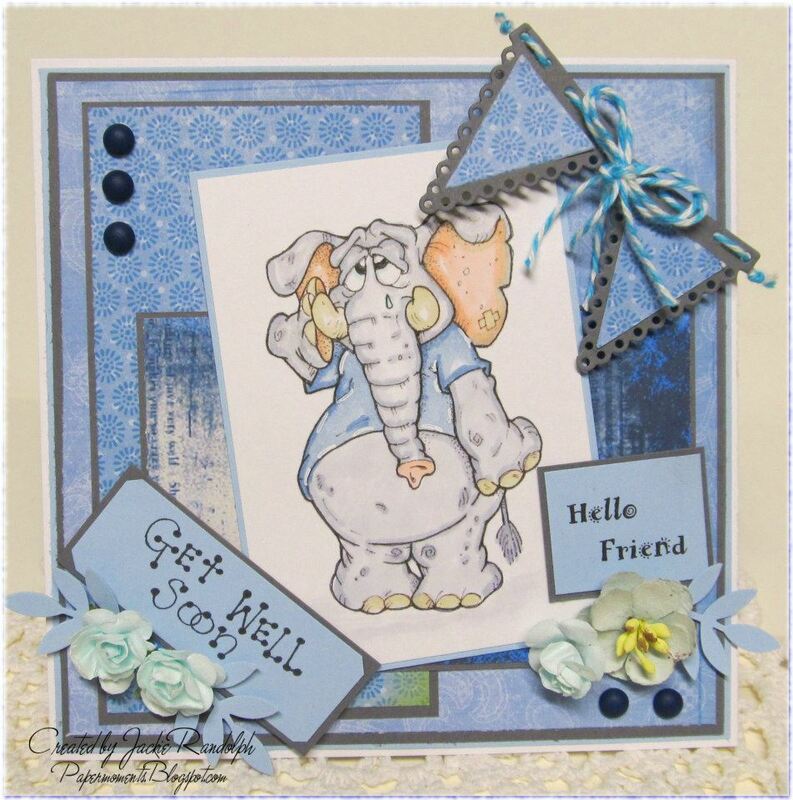 The image was coloured with Promarkers: Almond, Dusky Pink, Sandstone, Pastel Green, Lilac, Peach. 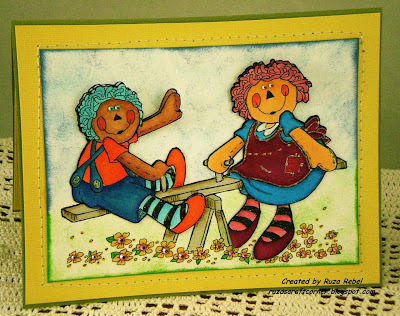 Hello our crafty friends! 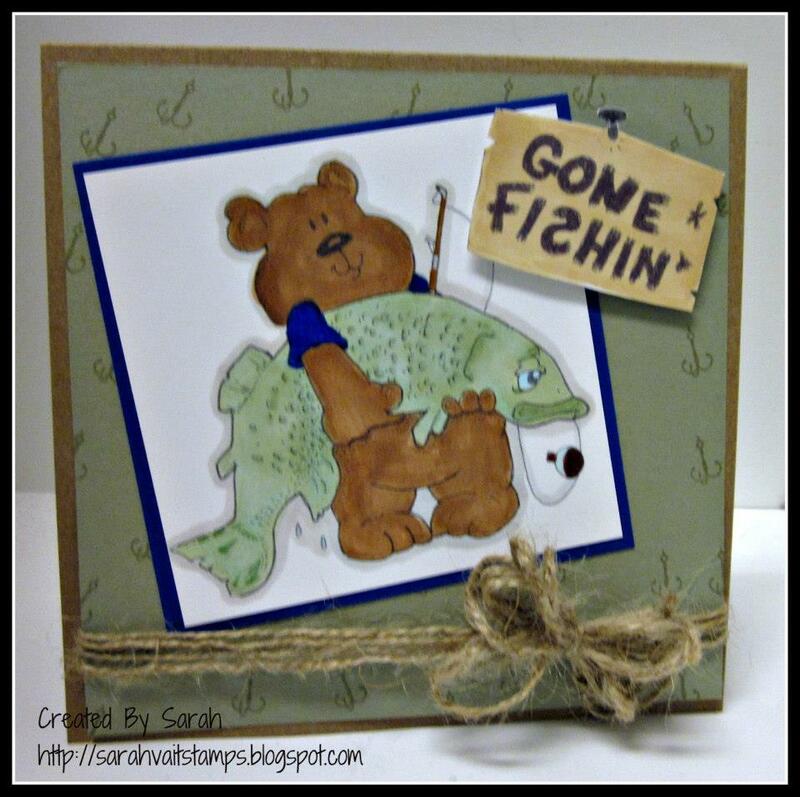 Sarah here at QKR Stampede with a card to share with you! I decided I need to share one last card with a bit of a summer theme! I can't believe summer is wrapping up and soon fall will be upon us :) I used the adorable Digi 5602 Floating Gator for this card and colored him up with copics and he turned out pretty fun! 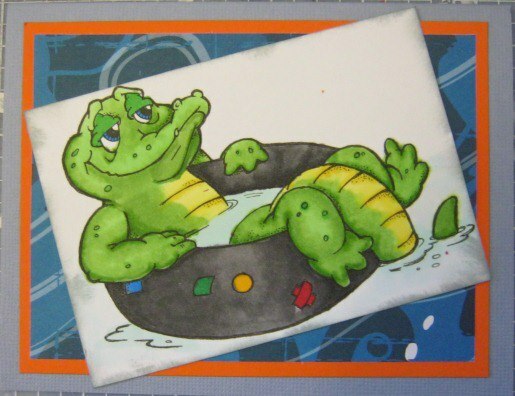 I love how he's just chillin' in the inner tube! 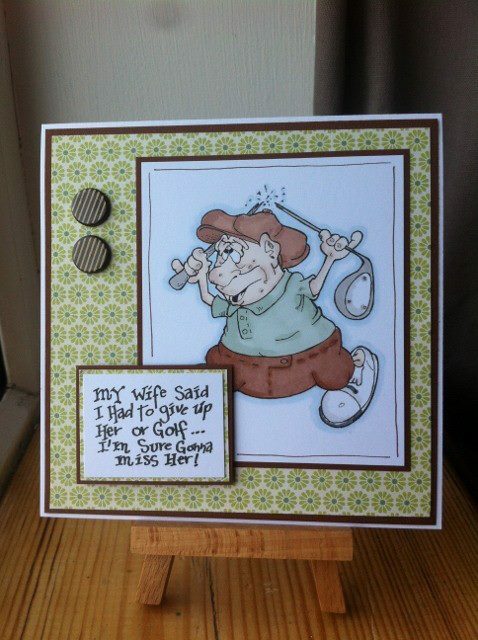 And seriously the sentiment is fantastic! If you have time we would love for you to join us for our current Anything Goes Challenge as you have just a short time left to join us! Hello and a Happy Saturday to you!!! Have you ever come across an image and instantly was inspired to make a card? Well let me tell you when I spotted this adorable image Carpenter 13905 in the QKR Stampede store, I immediately thought of how often my four grown children run to their dad if something needs to be fixed, or they have brought something that needs to be assembled....... Yes they immediately call their Dad for help! 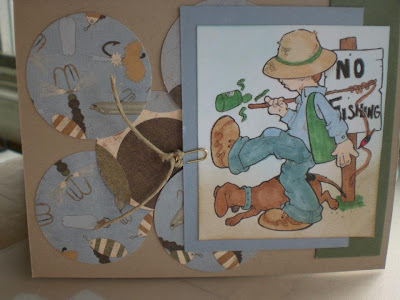 image to create a special thank you card for that guy that is so handy with the tools!!! 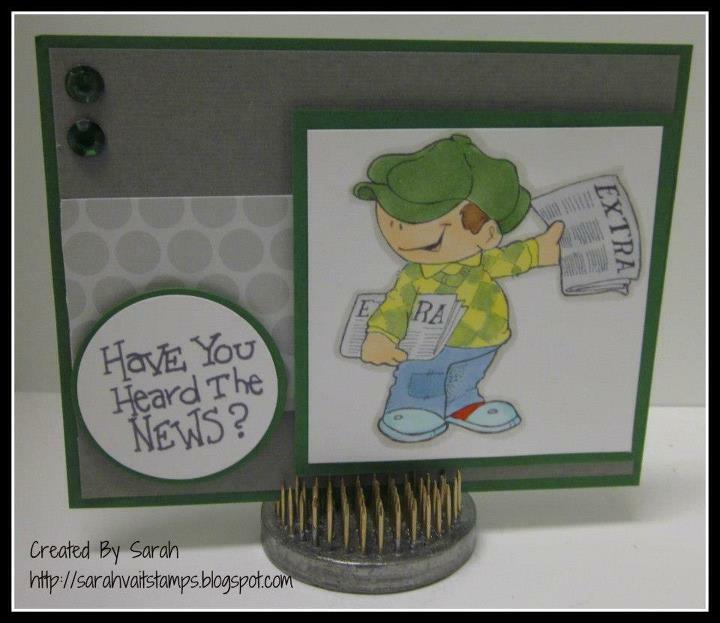 He is colored with Copic then layered on these beautiful Basic Grey papers from the Granola 6x6 pad. Created my own sentiments with the computer, a bit of twine and a Dad brad I found in my stash. Have you played along with us in our current challenge? I am back again sharing my last digi image card for the month of August for QKR. 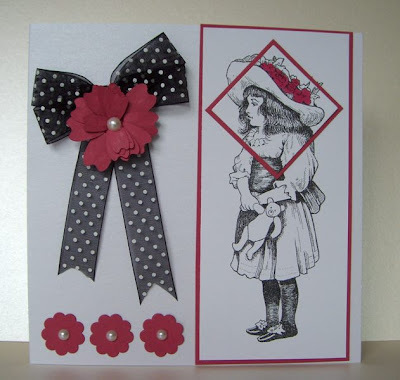 For this card I picked the image called digi17505 Rose. I then embossed a piece of SU Rich Razzleberry card stock then I cut out the center with my oval nesties. For the image I dropped it behind the oval and colored it with copics and also did some sponging of the background. I then added some ribbon for a simple yet elegant card. Welcome to QKR Stampede's Second Challenge! 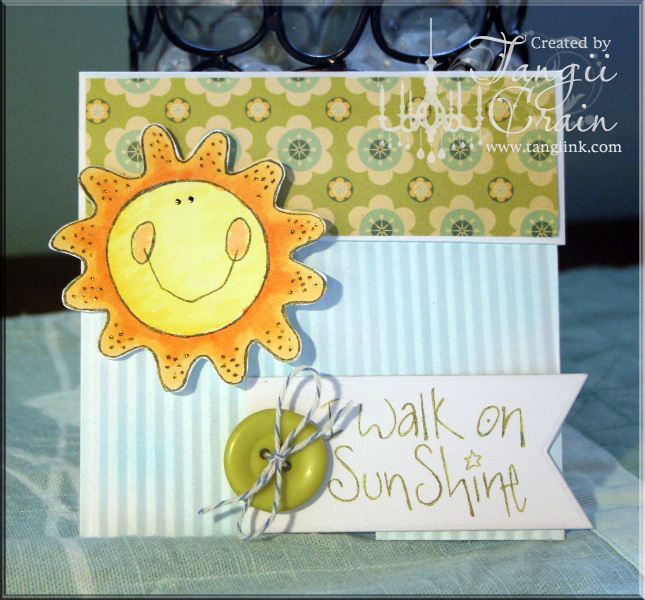 Thank you so much to Everyone who joined us last week for our First Challenge: End of Summer! We really Enjoyed All the Creations! 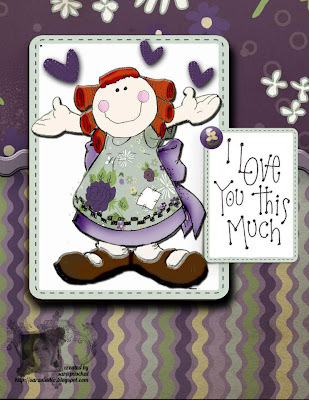 Firstly I just wanna say a HUGE thank you to everyone that pops by and leave me wonderful comments on my projects. they really do spur me on, and cheer me up even on the dullest of days. As I was sitting looking through the store for an image to use, I fell across the one I ve used here. Its one of those images that can be used for SOOO many things. 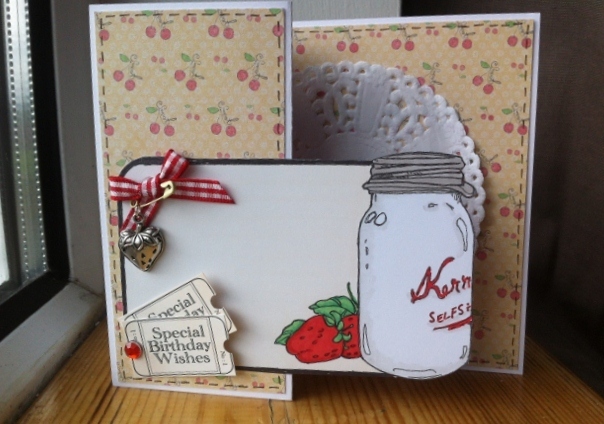 I can see myself pulling this one out for a scrappage, labels for storage jars, even printed small for a greeting. I love this wee image, so it was a joy to work with. I went for a side stepper card, simply because its ages since I made one, but I really love how it came out in the end. THANK YOU for stopping by, and for any comments left behind. Hello, glad to show off my Money Tree Card! It could be used for more than what I did which was to say "Thanks" which was a way of saying thank you for money that has bee received. 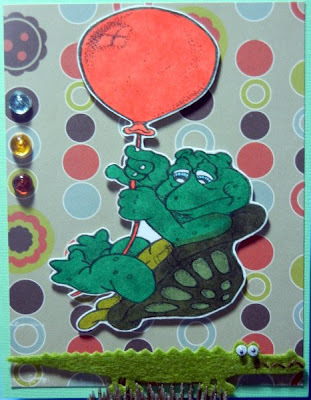 I figured one of my kids could use the card to give to a relative when they receive money for their birthday, Christmas, or any other reason. It would also be a great card to give and put a sentiment such as "money doesn't grow on trees" or many more! Also don't forget to check out our challenge we have going on! 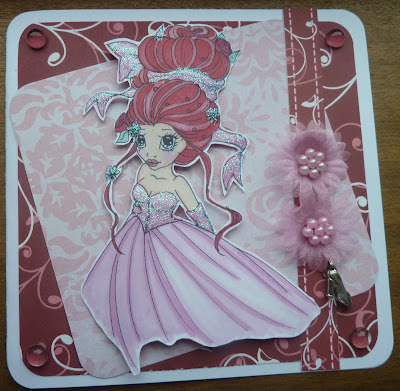 Join in and have a chance to win some free digi stamps from here! not smile working on such a beauty. Below you see the inside. 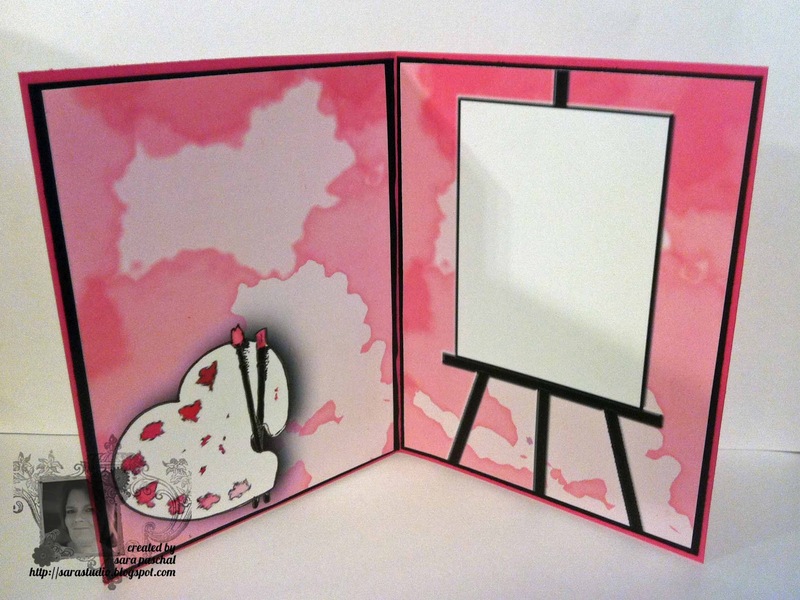 that are somewhat Cute and somewhat Quirky. Welcome to QKR Stampede's First Challenge! 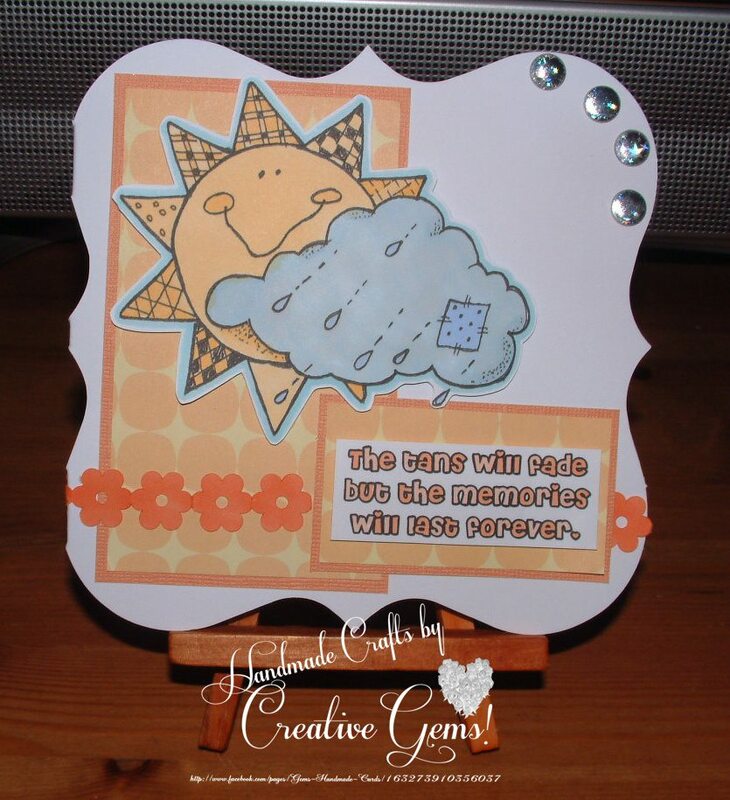 We are So excited that you have Joined us for our NEW Weekly Challenge! Our MOST IMPORTANT Rule is- YOU MUST HAVE FUN!!! 1. 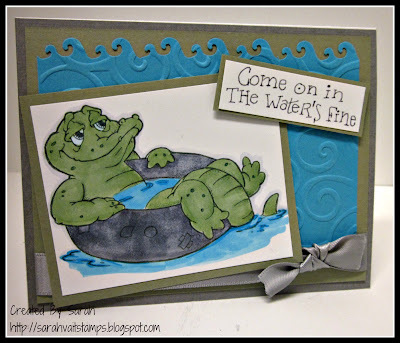 You May Use ANY Type of Rubber or Digital Stamps! 3. Your Submission must be a NEW creation That you have posted within 24 hours, Please NO back-linking. 4. You must follow the announced challenge theme for that week, adding a link to our blog in your post or mention us in your gallery. 5. 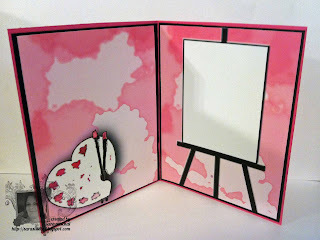 Leave a link to your actual blog post for the challenge, (not just to your blog) or to an online gallery. 7. Feel Free to combine any other challenges! 8. We reserve the right to remove any submission that do not follow the rules & guidelines! 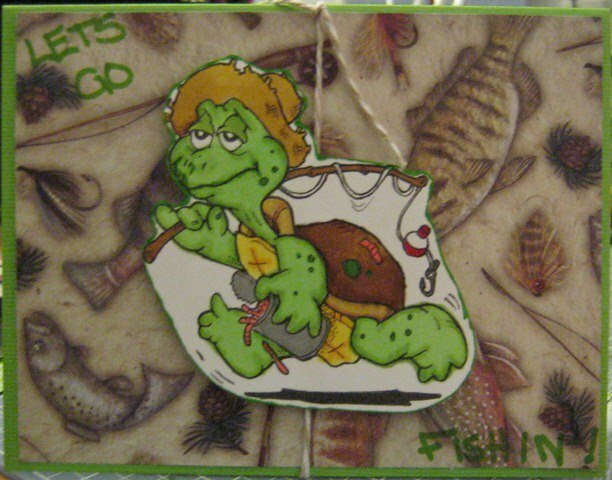 PRIZE: The Winner Will Receive 5 Digital Stamps of Their Choice from the QKR Stampede Store! Tory here again and I'm back with another Christmas card. When I saw the Perfect Christmas Tree stamp, I knew I had to have it to make a card for my mom. She was always teased about her Charlie Brown trees, because no matter what she did they looked definitely less than perfect once they were up. Bald spots, crooked, really unbalanced... never fail, our trees were somewhat special. And so this card was born to commemorate and celebrate our fabulous trees. Interesting to note, she now has this super cheap 2 foot tall fakie we put up every year. It is not a Charlie Brown tree but we always shape it to be a little wonky before we decorate! 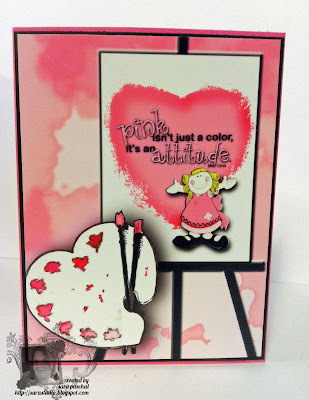 The sentiment I used is from Momenta, I was soo happy when I found it! This image is called digi17803 Mouse . This lovely mouse in a dress for summer. I use the shape from the clear scoring board the first shape I did is with distress ink of purple and then I have got can of purple glitter spray and it looks perfect colour to match my lovely mouse then I use punch called floral and then I spray glitter on without distress ink on not bad at all just perfect to match with it and finally I added gems on the flower. Hey yall, it's Tangii here with today's post and I hope you are all having a wonderful weekend! 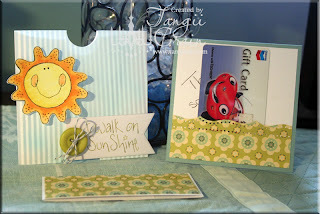 Today I have a fabulous way to give a gift card! First let me start by saying that this pocket card is NOT my brainchild, I made it with some friends, but I don't know where she got the idea. Ok, back to the fun stuff... 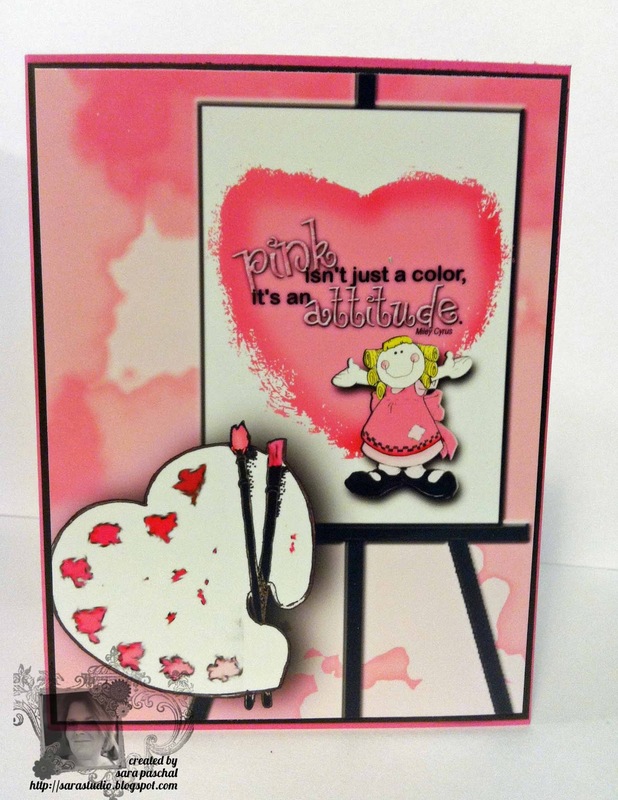 I started off with an envelope (standard card size), a colored envie works great, but I didn't have any. Seal the envelope and then standing it tall-wise, cut off about 1 1/4" of it (now this is the "lid"). Run the larger piece through a crimper, make sure you are putting it through in the correct direction (sideways)... this "shrinks" the larger piece so the lid fits perfectly over it :) Brilliant! Since my envelope started off white, I used my airbrush and B00 Copic marker to give it a "cloudy" look. 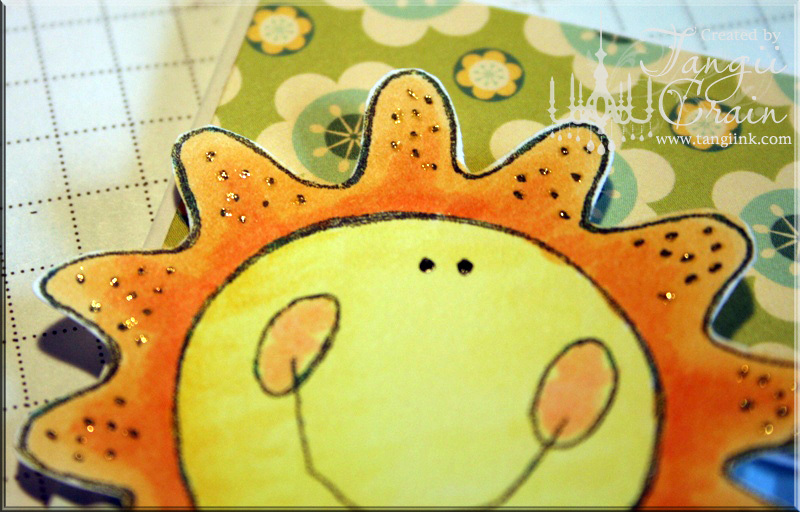 To decorate my pocket I used this Smiling Sun and my sentiment, Walk on Sunshine... both are from QKR Stampede :) I colored Mr. 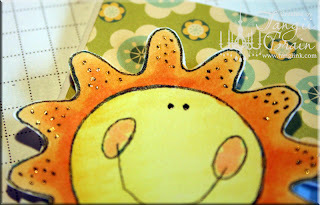 Smiling Sun with Copics and added some sparkle with a Gold Spica Glitter pen. A dab of Black Glaze pen is perfect for his eyes! 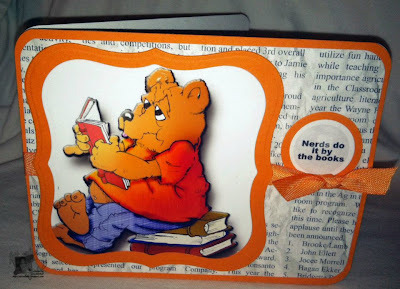 For the inside I added a little border strip and only adhered it on the bottom and sides, it holds the giftcard in perfectly! Voila! 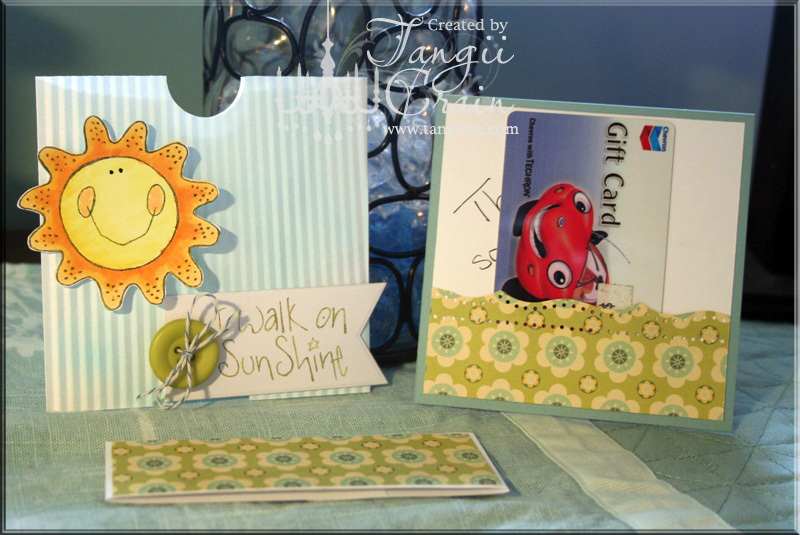 Quick and easy gift card holder!! Hope you enjoyed today's post, hope to see you again soon. Today is my day to post on the QRK design team blog. So I thought I'd share a card I made with the Christmas Lights Kitty. I am trying to get ahead on Christmas cards, so you'll be seeing them from me periodically...I am trying not to rush in December. How many people have started their cards? Each year I have good intentions then don't follow thru. 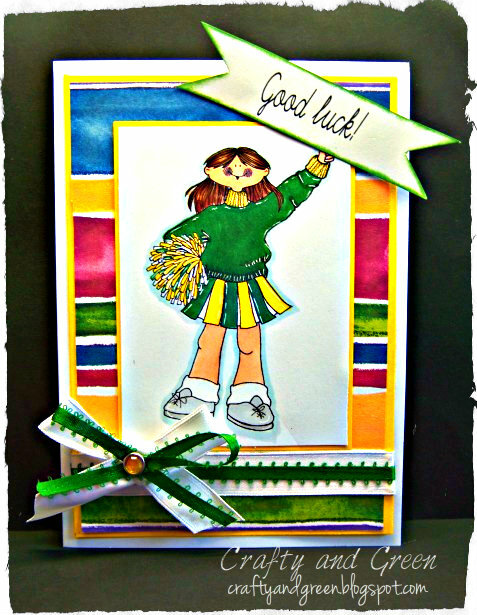 So it's not too late to start on them and here is one to inspire you. 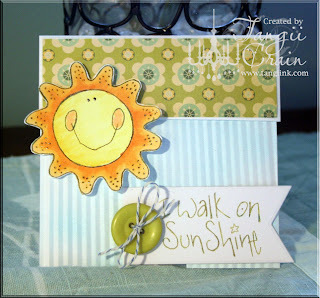 I used some brighter colors for this one, the base is SU kiwi kiss and also some SU tempting turquoise. 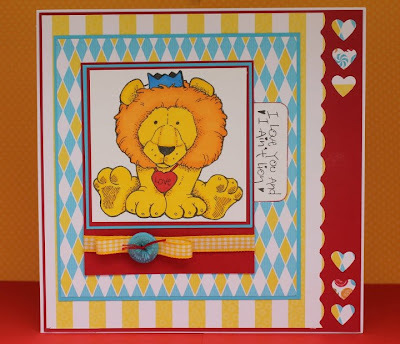 I used my nesties to cut out the cat the mat and paired it with some MME designer paper from last Christmas. I made the saying on my computer to go with it and colored the image with copics. 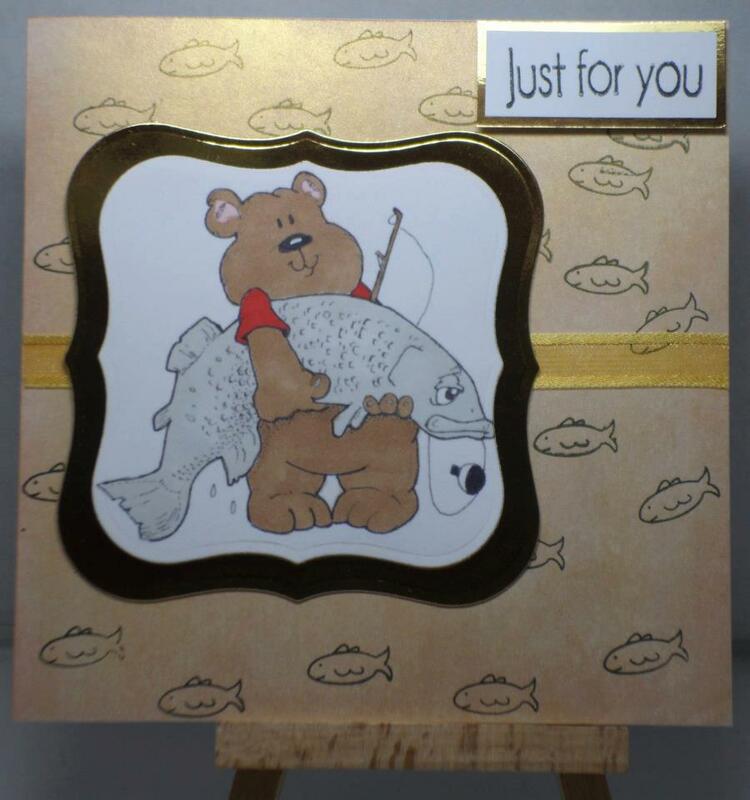 I started by colouring the image, with no idea of what the final card would look like. That is very unlike me. I normally always start with the papers I want to use, and then colour from there. I dont know why I started "backwards" this time, but once coloured I sat there thinking what to do next. So the hunt for matching papers started.. No good. I decided to mount the image, but that was as far as I got. In the end, I simply lay the mounted image onto the white card blank. And there it was.. The idea came. The mounted image looked like a picture, so I decided to make a simple and pale frame around the image. The frame is simply just a few lines made with my promarkers. I think it looks fab, and really sets off the image in its own right. I added the greeting inside, so as not to "spoil" the picture look. Hope you all like my card, and THANK YOU for stopping by. 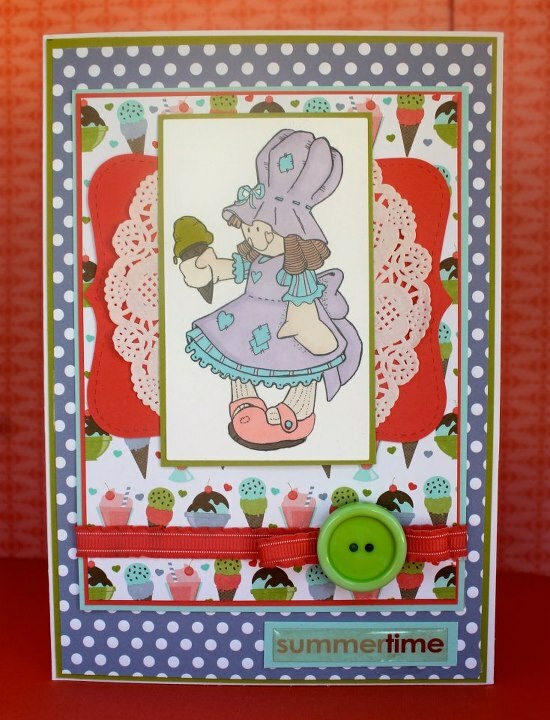 I just love working with these digi stamps! They definitely are "somewhat cute and somewhat quirky!" 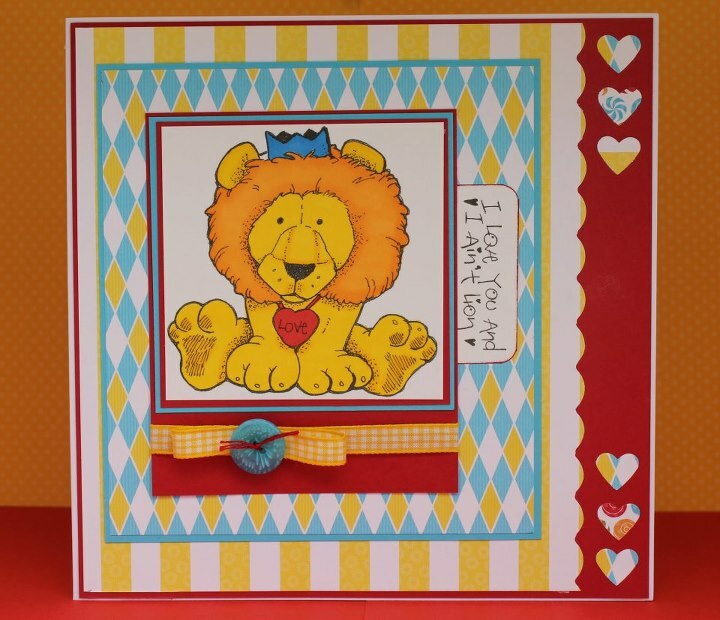 I decided to use one of a lion with the word "love" around his neck. Make sure to check out the website for other stamps as well! Also a challenge will be here shortly so keep checking in.